The Soul Smith is available for Preorder! 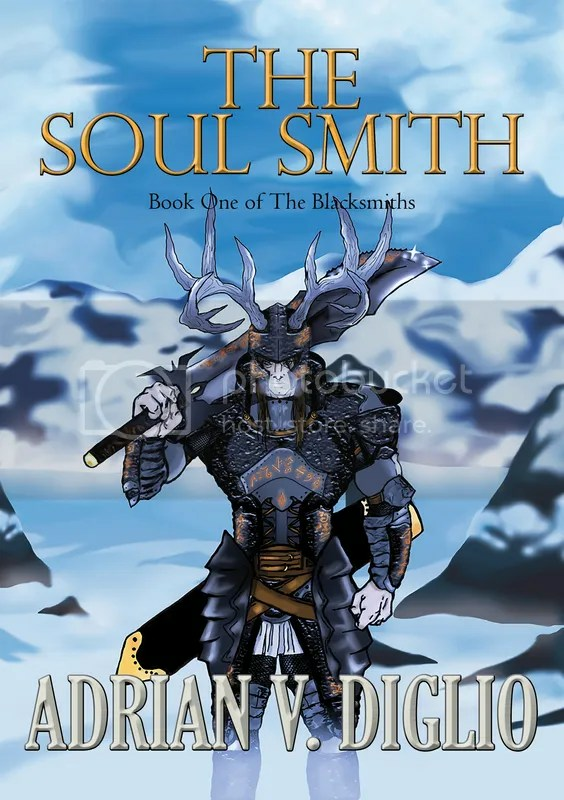 Note: The Soul Smith will also be available for print on 5/19/2015, but isn’t currently available for preorder. Synopsis: Clan Wyndlyn, a tribe of antler-endowed warriors known as elkin, have united their forces with a neighboring clan. Though Erador Wyndlyn, a promising warrior that takes pride in his heritage, grows suspicious of the other clan’s intentions. Upon discovery of his father’s murder, Erador is thrust into a position of leadership over the clan. His first order of business is to hunt down the one that killed his father. But to match the might of his foe, Erador must figure out how to unlock the magic contained in his father’s runic armor if he is to achieve vengeance. 3 – Amazon is, of course, a much larger platform. I would think that increased sales there, as well as positive reviews, would help you far more than any other store. One question – between Smashwords and Amazon, any preference in terms of who you would rather I buy from (better percentage of the cut, etc.)? Good question. It looks like if you purchase direct from Smashwords (on their website) I will make the most money (79% of retail price). Amazon comes in 2nd place with 70%, and any of the other retailers such as iBooks, Kobo, B&N, etc. I will make 60% (because I used Smashwords as my ebook distributor to them). However, I would suggest that you purchase it from whoever can provide it to you for your preferred e-reader app/device (Note: Smashwords does offer it in all formats). Great. Thanks for the info. I’ll be sure to leave a review. You’re Invited to The Soul Smith (virtual) Book Launch Party!